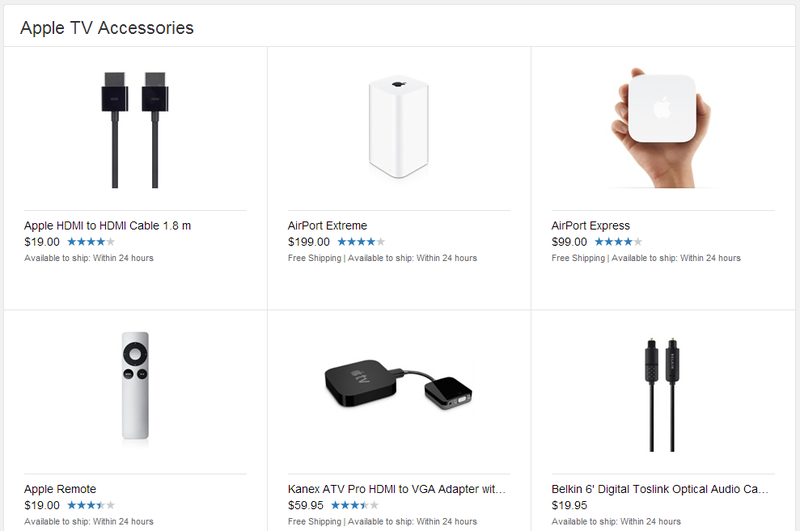 Till a couple of days back, finding Apple TV‘s product page on Apple.com was a bit difficult thanks to its mysterious location in the Accessories section for iPods. Generally I used to resort on Google to find it rather than taking the pain in browsing through the website. 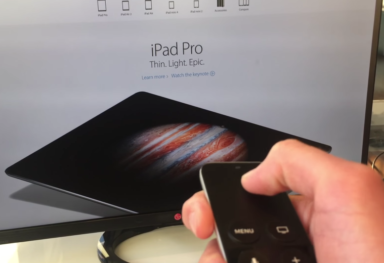 However, that shouldn’t be a problem from now on, as Apple TV has been promoted to occupy one of the tabs besides Mac, iPhone, iPod and iPad at the Apple online store. 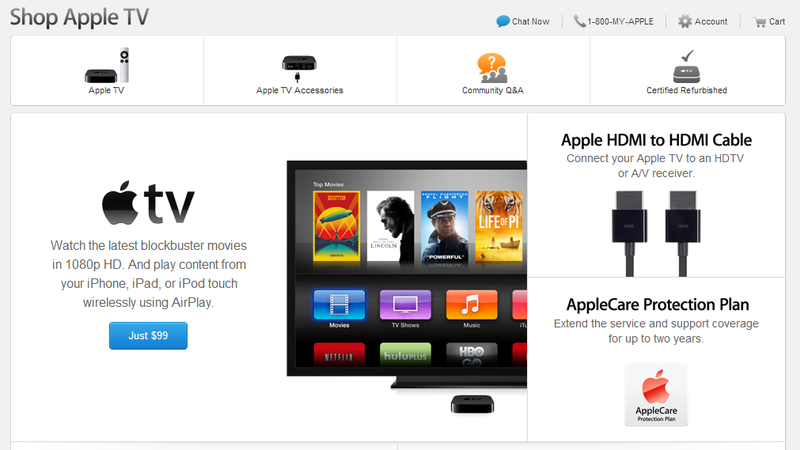 In addition, Apple TV now has its own pages for accessories, community and refurbishes. So why would that be – Apple graduating one of their devices from a mere ‘hobby accessory‘ to a ‘new product line‘ after seven years of initial release? 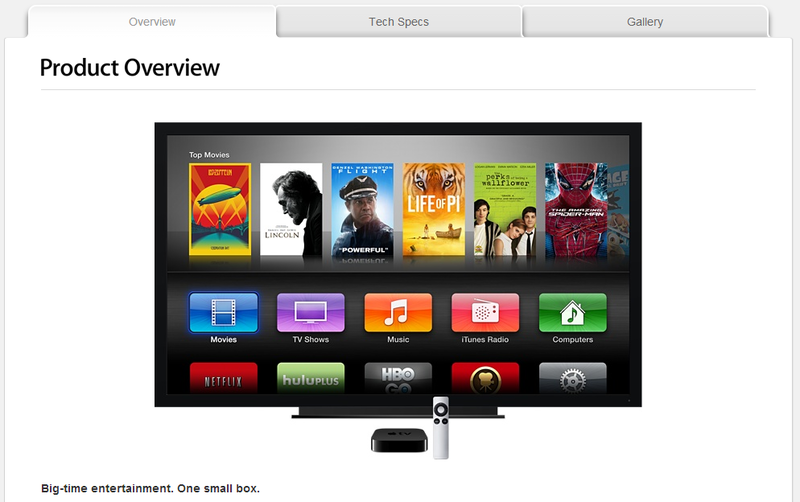 A lot of reports on the next Apple TV has been circulating lately. According to one of them, Apple TV 4 will be a complete revamp of the device, at least software wise. The new firmware will be iOS-based and will come with an in-built Apple TV App Store. This would open the doors of HDTV to third-party apps and games. A Bluetooth controller is also said to be in the works. 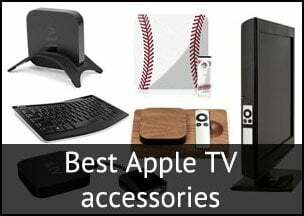 Now, the guys at 9to5mac have received new information on Apple TV 4 from a reliable source. These claim that the next generation of Apple TV will come with integrated Airport Express components, i.e. they will have a router welded into the core. This makes a lot of sense, especially for those who connect the Apple TV via Ethernet, because they will no longer need another router for iTunes Home Sharing. Also Airplay Mirroring will be more stable and of better quality since the intermediary modem is eliminated. Another report suggests that the games on Apple TV will be seamlessly linked to other iOS devices. Apple TV 4 games are expected to utilize the iDevice themselves as the controller. MFi controllers could be used as well. Maybe one more app will join the App Store under the Apps by Apple category – Apple TV Joystick? And the last rumor claims that the Apple TV 4 will come with a TV tuner card for use with your existing cable subscription. This will again simplify the process of enjoying video content since you can use the same set-top box for online streaming as well as for cable channels. 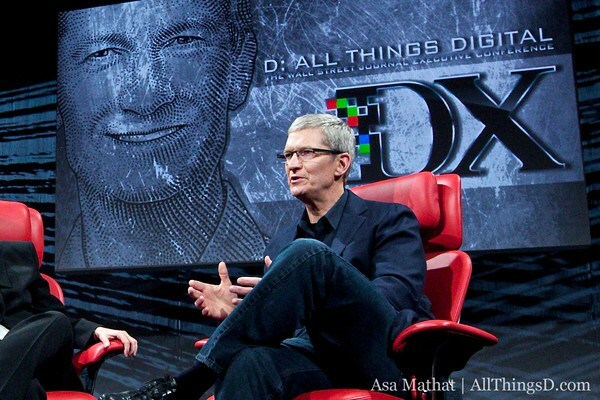 The launch of Apple TV 4 seems imminent as the speculations are piling up. If all the above rumors turn out to be true, we’re looking at a major deviation in the Apple TV lineup and we think it’s apt that the small black box has rose from being a simple accessory to a mainstream iOS device. 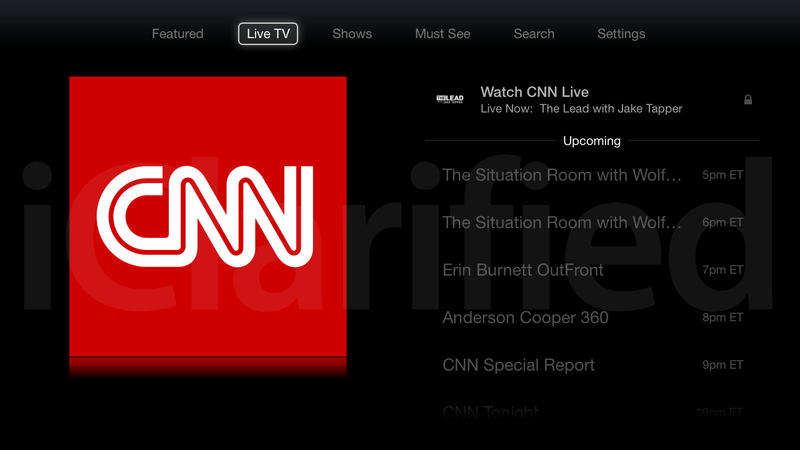 You might also want to read: Where is Apple taking TV in 2014?